In this article, I have listed 5 best VR ready gaming laptops 2019. The VR ready gaming laptops are specially built for giving you a virtual reality gaming experience. The VR ready laptops are mainly used for so many things such as watching movies, playing games, photo editing / video editing work etc. After doing so many research on various laptops and read user reviews I have created this list. Also, I have looked a number of things in these laptops such as a processor, RAM, graphics card, storage, cooling system, and battery life. Processor:- You will use this VR ready laptops for gaming or photo/video editing work so it must have a powerful processor to handle your heavy task. So I suggest you go for latest Gen i7 processor, below all the laptops have latest 7th Gen i7 processor. RAM:- To handle high-end games and also to handle your intense gaming session I suggest you go with at least 16GB of RAM. To give you a smooth experience without slowing down your machine while you are playing games or doing heavy multitasking laptop wants that much RAM if it is more than 16GB then it’s good. Dedicated Graphic Card:- For any VR Ready laptops required a high capacity dedicated graphics card to provide you a great gaming or visual experience. Storage:- If you are buying this VR ready laptop for a gaming, photo/video editing work or anything else its depends upon your work how much storage space you want. Cooling System:- A cooling system helps to keep the laptop cool in a long session while you are working, doing heavy multitasking work or intense gaming session. This cooling system helps you in a several ways like it saves your system from overheating, protects expensive components of laptop and helps to avoid surprise shutdowns or any lags issue. Ok so now let’s back to the topic and check this out best VR ready gaming laptops. At $1,049.99 budget this Acer Predator Helios 300 is the best VR ready gaming laptop for you. If you will see this laptop then it has got a fully gaming look and its black chassis and red accents give it to an attractive look. Like it is attractive from outside at the same time it is powerful from inside. If we talk about its internals then it has got latest 7th Generation Intel Core i7-7700HQ processor with turbo up to 3.8GHz and paired with 16GB of RAM. Its 6GB of NVIDIA GeForce GTX 1060 graphics gives you a clear and smooth visual on its 15.6 inches full HD IPS display. The storage might be a problem for you because it has got 256GB of SSD if this much storage is ok for you then no worries. The Acer Predator Helios 300 features Acer TrueHarmony technology sound system with two in-built stereo speakers. The battery backup of this Acer laptop is decent provides you up to 7 hours of battery life on a single charge. If you have this much of budget then this is the perfect VR ready gaming laptop and as it has got a powerful configuration it will easily handle all the task you will throw. As we all know MSI is one of the well-known brands for gaming and without MSI laptops gaming laptop buying guide is incomplete so here is MSI GE62VR Apache Pro. If we talk about its internals then it has include 7th Gen Intel Core i7-7700HQ quad-core processor which provides you faster performance. This MSI laptop paired with 16GB of RAM and houses with 128GB of SSD + 1TB of HDD drive. For a better visual experience, it has dedicated 6GB of graphics card from NVIDIA’s Geforce GTX 1060. The laptop has got 15.6 inches full HD display with 1920 x 1080 resolution. It’s SteelSeries, Dragon Center and other gaming features which are integrated well with your VR gear so it will give you an amazing gaming experience. It’s Cooler Boost technology helps your system to stay cool, so it will maximise the performance of your laptop while you are playing an extreme gaming. 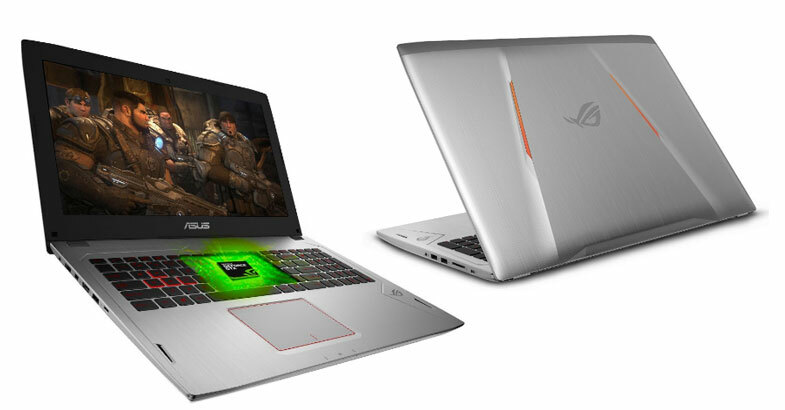 I think you may know that the ASUS has launched its ROG series laptop for gaming only. This ASUS ROG Strix GL502VM gaming laptop is for those gamers who want slim and lightweight gaming laptop for the mobility to take their game anywhere. This light weight and powerful gaming laptop packed in a metallic chassis, which gives it to an attractive look. This ASUS ROG Strix GL502VM equipped with the latest 7th Gen Kaby Lake Intel Core i7-7700HQ processor which is clocked at 2.8GHz and Turbo up to 3.8GHz. 16GB of RAM and latest 6GB of NVIDIA GTX 1060 graphics give you epic gaming experience. Its latest hardware provides you powerful performance while you are doing heavy gaming or multitasking such as live streaming and video editing. 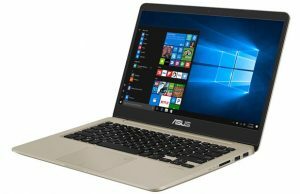 This ASUS laptop comes with 128GB of SSD + 1TB of HDD, this dual storage gives you speed and storage. This laptop features 15.6 inches full HD G-SYNC display with 1920 x 1080 of resolution. This ASUS laptop features chiclet gaming keyboard with red-backlit which helps you to work even in a low light. To keep your laptop cool it has Hyper Cool Duo-Copper cooling system which keeps the CPU and GPU cool independently, which maximise the stability for intense gaming marathons. The Razer Blade is built specially for gamers and this one is the advanced gaming notebook. If the budget is not a problem for you and wants a superior quality laptop then this is one of the best option for you. This gaming laptop has got the powerful specs which are 6GB of NVIDIA GeForce GTX 1060 graphics, paired with 16GB of massive RAM. This Razer Blade is powered by the latest Intel Core i7-7700HQ quad-core processor which gives you powerful performance and houses faster 256GB of SSD storage. It sports 14 inches full HD IPS display which provides you a crisp and clear amazing visual experience. To give you another amazing experience and takes your experience to the next level it comes with the anti-ghosting keyboard. All these awesome features of this Razor Blade laptop comes in an aluminum chassis, which is only 0.88 inches thick. 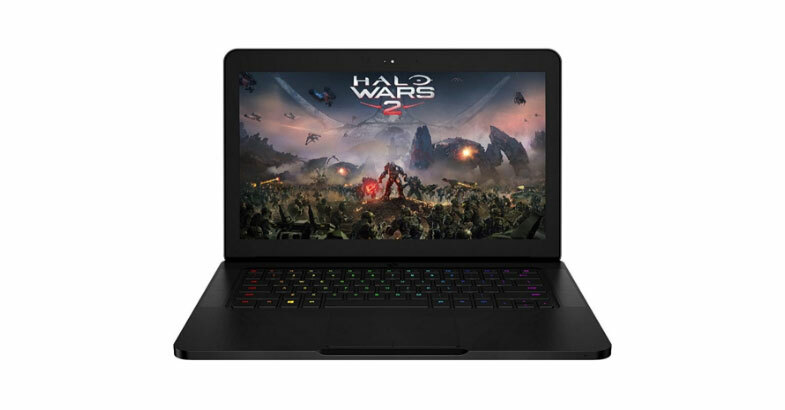 Overall this Razer Blade is packed with the great features and its Chroma Light anti-ghosting keyboard makes this gaming laptop to a very attractive. But as per its cost, it is not affordable for everyone so if the budget doesn’t matter for you then go for it. 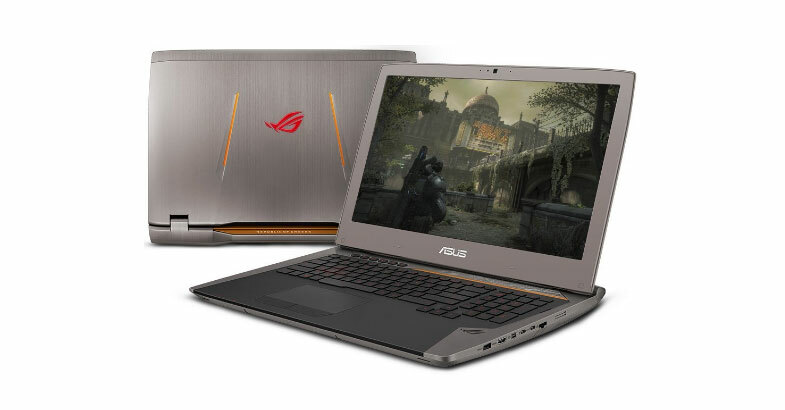 This ASUS ROG G701VI OC Edition is the powerful and costly gaming laptop of this list and this is the reason I have put this laptop at the end of this laptop guide. This laptop is equipped with the 7th Gen unlocked Intel Core i7-7820HK processor. 512GB of SSD this laptop has got, SSD helps you to start up laptop lightning fast. This ASUS ROG G701VI OC Edition laptop features massive 32GB of overclockable RAM and also paired with latest 8GB of NVIDIA GTX 1080 graphics. If you like the bigger display then it has 17.3 inches full HD wide-view G-SYNC display with having 1920 x 1080 pixels of resolution. This ASUS ROG G701VI laptop feature Anti-Ghosting backlit keyboard which helps you to work in low light. One of the best things about this laptop is that it has a dedicated cooling system for CPU and GPU, it helps to direct heat away and keep your laptop cool even after a long gaming session. After going through its specs and features I recommend you if you have a good budget and want a powerful laptop with the full gaming features then go for this ASUS ROG G701VI OC Edition laptop. The above VR ready gaming laptops are listed based on its performance and also these are the best selling VR Ready gaming laptops. Above all the laptops giving you an awesome virtual reality experience and it will not give you any of the problems. So just check it out the system requirements which you want to your VR laptop, still if you are facing any problem just feel free to ask me through the below comment box.